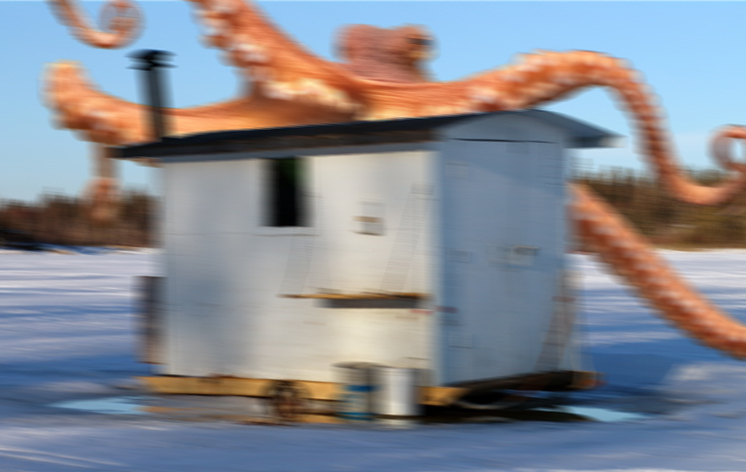 The group explains that a large, “9 foot tall, twelve-legged monster” has repeatedly appeared on Lake Nipissing, where it has been spreading garbage, defecating, and in two cases, has burned down ice shacks. Rolph Page is one of the men who claims to have seen the monster. Other fishermen have made similar claims. All 14 men are banding together to fight against a litany of tickets, ranging from improper disposal of an ice shack, failing to remove a shack or temporary shelter from the ice, fishing without a license, improper disposal of human waste, arson, failure to register an ice shack, and possessing an oyster that is less than the specified length.